"I will never stop learning, ever. I dont think I’ll ever want to not learn. I love the fact that every single project is different." 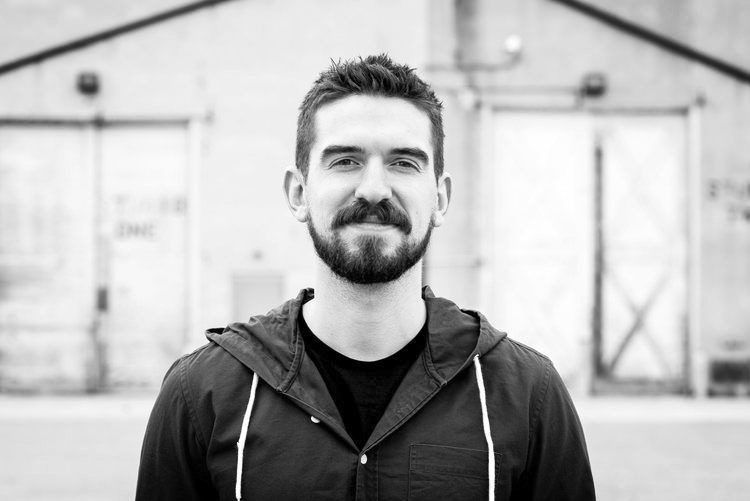 Alex Lee Williams is a filmmaker, screenwriter, producer and director. He was born in Almonte, Ontario, 1990. Alex’s love and passion for filmmaking started from a very young age; he was four years old when he started playing around with his father’s camera. He earned his degree from Algonquin College in TV Broadcasting program and graduated at the top of his class with the "Director of the Year" award from CTV. His amazing short films won many international awards, as the Digi60 Spring Festival of 2014 “TIFF Promising Filmmaker Award”. Alex, along with his inventive partners, Michelle Aseltine and Justin Hewitt-Drakulic, always endeavour to grab the audience’s attention by making unique, distinct and creative cinematic content. Some of his recent work that he wrote, directed and edited (post production work) is his new film that will be released the upcoming fall, Hellmington. This exciting film stars Nicola Correia-Damude and Michael Ironside. Alex also wrote and directed an episode, The Pilot, of the web series #VitalSignz. Aya Alsayed Ahmad: Lets start by talking about your interest in the film industry, when did you realize your passion for filmmaking, producing, directing and screenwriting? Alex Lee Williams: I think I was 4. At that time my dad brought home a VHS video camera and I was playing around with it. Then I started making stop motion animations. Filming became a thing that I always did in my spare time. I would say that my interest in this field at a young age made it easier in terms of schooling and to focus on what I actually wanted to do. AAA: What aspect of the film industry specifically, whether its producing, screenwriting, acting, directing, do you see yourself most in? ALW: I love writing, editing, and directing. However, producing I never necessarily wanted to do but in the independent film world, you become a producer regardless. You cannot really rely on other people to make it happen. You have to learn to do it yourself. I think nowadays, everyone just makes their own films due to the access everyone has to making movies, cameras and all. It is naive to assume that your idea is better than anyone else. everyone wants to tell their story. So in that, you have to rely on yourself and people closest to you to really make that happen. Its a world of favours, you ask a favour from best friend and do her a favour as well back and forth. Learning to produce kind of came with the territory. To answer your question specifically I would say writing and directing. AAA: Lets talk about Digi60, how would you qualify your experience working with Digi60? ALW: Digi60 gave me a platform to finally publicly start. When you are a kid, you make movies for yourself and your friends. In school, they do give you a semi public form to sort of test your audience. With Digi60, welcomes students, publics and productional. My experience was invaluable with Digi60 because it helped me put myself out there. I have really positive experience with Digi60. Personally, I like some of my films more than others but I could only learn that by putting myself out there - by sitting next to people watching my film and trying to feel exactly what they are feeling at the same time. That really helps you. Digi60 is a very welcoming environment, its intimate. It does allow you to get a rough experience from an audience perspective and that is really important. 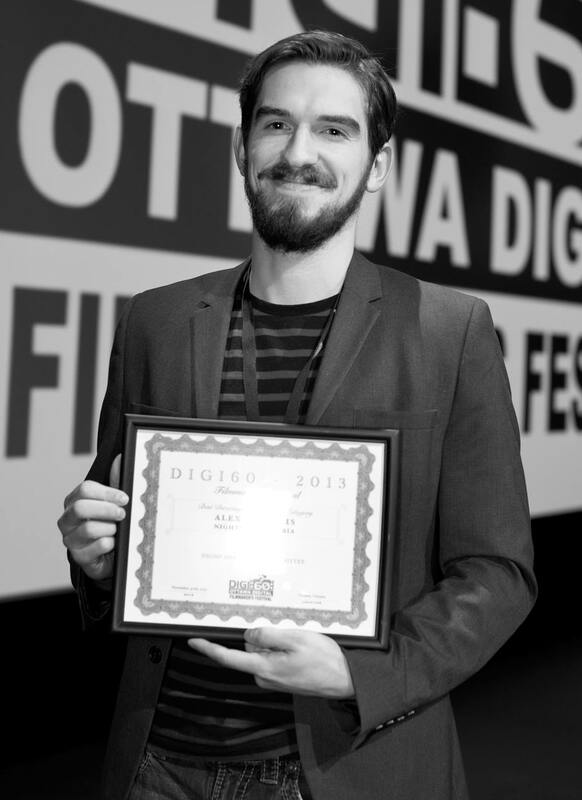 AAA: Your film, Language, with collaboration with Jay Drakulic won the award winning short film at the Digi60 Spring Film Festival. What about that film allowed you to take it beyond Digi60 to a wider audience? ALW: Jay Drakulic is still my director partner. Language was a special movie from Digi60. Its like you are doing a local festival in the city of Ottawa and yet the second largest film festival in the world. Then, I won the award of the emerging filmmaker at TIFF. Now I have connections at TIFF. I have to say I am in total debt to Digi60 because of that. They gave me an opportunity to make that connection. Its up to the filmmaker to make that connection, but Digi60 provided that opportunity to filmmakers which is crazy valuable. The entire film industry is just an industry of relationship. You build professional relationships that allow you to excel your career. I am eternally grateful for Digi60 for the connections I made. AAA: What one film that comes to mind affected you and potentially even influenced your view on a certain subject? ALW: There's a couple. The movie that comes to mind, it's the best movie ever made, is Hugo. When I saw the trailer I was like Scorsese is doing a kids movie - interesting. Yet when you watch it, it cannot be a more personal movie for Scorsese to make. Scorsese is my favourite filmmaker of all time. This movie that seems so far from this Italian American from Little Italy and New York City. It seems like the furthest story from himself and yet it was so incredibly personal for him. He found a way to tell a story that is related to him in childhood - inspired by this early age in the most creative way possible. That blew my mind because I think that you are constantly trying to figure out your voice - what you want to be known as. What is your voice, what do you want to say in film? You can take your story and apply it to a wonderful and fantastical world or even apply them to someone else narrative. As long as the emotions are there, then you are truly telling your story. That is the longest answer ever! AAA: What do you like to have on hand from Craft Services when you're filming? ALW: I avoid craft services so much. If there is chocolate chip cookies or Coca cola, I am done. AAA: Your movie, Hellmington, the plot line seems super compelling. How would you describe your experience working with mixed genres of horror, thriller and drama? ALW: Hellmington comes out in the fall this year. Hellmington was the hardest experience in my entire life. It was really challenging; it felt like going through twenty years of Film school in the matter of two years. We learned so much about this industry and every aspect of preproduction, production and post production. With the mixed genre, it really taught me a lot about what do I want to say in the story and what do I want the audience to feel. Also, working with a studio, Cineque, which is Hollywood studio model that they are applying to Canadian Independent film - that is a very bold way to navigate the Canadian film market. With that as well, I learned also how to work with a studio that does have a final say on what you do. It feels like more than I could ever learn. I will never stop learning, ever. I don't think I’ll ever want to not learn. I love the fact that every single project is different. All the things that I learned while making Hellmington, I am excited to apply that knowledge in the next film that I make. Then, when the next film happens, I can learn more things and keep learning. I trust my guts. I go with what I feel is the right thing to do. Hellmington was a really big challenge but I could not be happier about it. I am happy that it is going to get out there in the world. I don't see it any differently than sitting in the theatre watching a Digi60 2.5 minute short film called Language, to sitting in a cineplex theatre with a group of people just seeing how it does. As I watch it, I get to see what I like and don’t like and then get to apply those learnings in my next experience in the film industry. AAA: As a director, when watching a movie, what aspect of it grabs your attention first? ALW: The think the thing that I love when I watch a movie is just the movie’s confidence and whatever its doing. I love watching a movie and knowing that the director is self confidence in her/his vision. When that does happen, it really grabs you and pulls you in. When you are watching a movie and it is just flowing, it is because the entire crew came together. It is not necessarily an aesthetic or style thing. As long as you are having fun making a movie, you are going to have fun watching it. I really do believe that. AAA: What settings do you prefer writing in where you feel most inspired? ALW: Me and my directing and writing partner, Jay, always work at our office. We always write down random ideas and talk about them. We literally start building a framework from that. We always use the one-hundred page breakdown that I learned from the Toronto Screenwriting Conference. That was also because Digi60 asked me to come and say a few words about the festival at the beginning of the conference. With that, I got a pass to the conference and I got to see Michael Arndt, the screenwriter of Little Miss Sunshine, give a talk. As a writer, the biggest challenge for me was that I had no idea what Act Breaks really were. I don't think it was ever clearly defined in any class, conversation, or any online article. I could not get any proper definition of it before. After attending the Conference, Michael Arndt clearly broke it down and it made so much sense. Jay and I would sit down and build out little outlines, which is sentences. Then we assign scenes to each other after discussing everything to know where to pick up from each others scenes. Then we copy and paste them into a full script. However, my writing setting when I am alone is usually at home in a room. I switch the television and music on. I would play a movie soundtrack in the background. I do not like silence. If there is a lot of noise happening, it helps me focus on the script in front of me. AAA: Are there any new projects that you are currently working on? ALW: I am not sure if I am allowed to say. I can say that its another feature film with the same theme of Hellmington. We are actually working on two; one is a horror and the other is a horror/dark comedy. I love dark comedy. There is a lot of weird dark comedy in Hellmington that most people might not pick up on but I think it is really funny. AAA: What advice do you give to aspiring talents, as future filmmakers and screenwriters? ALW: Just go out and make it. Scorsese also said that, it is true. It is the best advice you can give anyone. Make it for you and don't wait for someone to tell you I’ll give you the money. You have all the power to make that happen. Go out and do it. Have a script, get your friends that you trust and hopefully can act and start experimenting. There is way too much access to media now, which means that someone is going to see it and love it. That is the main reason we are doing it; to entertain people. Do not let anyone or anything stop you.